Spacious apartment of 247 m² with a terrace for sale in an exceptional location next to Francesc Macià. Ideal for families who want to create a bespoke home. This apartment to renovate is located on the first floor of a well preserved classical building on Avinguda Diagonal, in a prime area near Francesc Macià and Turó Park. It has the typical layout of a classic building, with the day and night areas clearly differentiated and with 2 different entrances: the main entrance and the service entrance. 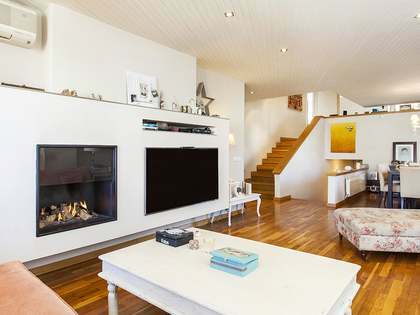 With the current layout, the main entrance leads to a hall, which in turn gives way to the living room with a fireplace and a reading room next door. Next is the dining room, which connects to a large kitchen with laundry area outside. Both the living room and the dining room are oriented to the northwest. In the night area, next to the kitchen we find the service entrance with a bedroom and a bathroom. Next there are 2 double bedrooms with access to an interior block terrace, which is currently covered but could easily be uncovered. There is also a complete bathroom that serves these bedrooms. Finally we find the large master bedroom, which has its own private bathroom and a dressing room. The entire night area is oriented to the southeast. 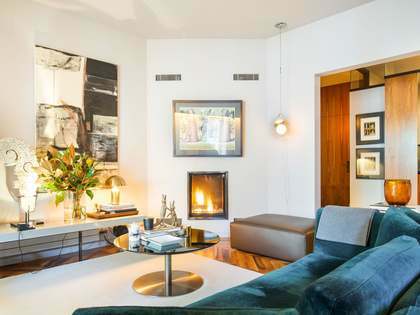 This property could be renovated and adapted perfectly to the buyer's taste. Among other options, it would be possible to keep the same layout or expand the living-dining area by taking advantage of the reading room, and the terrace of the bedrooms could also be reopened. For total security and peace of mind, the apartment has an alarm system. It also has air conditioning and heating, as well as beautiful well-preserved parquet floors. The price includes a storage room in the building. 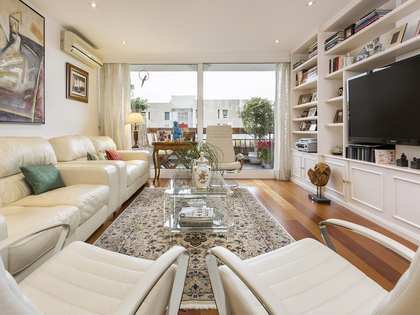 This apartment would be ideal for families who want to customise their own home in an excellent area of ​​Barcelona, ​​close to shops, prestigious schools and with a nearby car park. An unbeatable opportunity at a very competitive price. 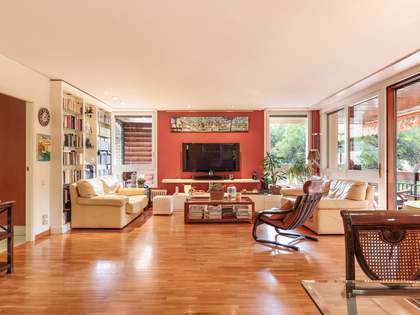 Apartment located in a premium area on Avenida Diagonal, near Plaza de Francesc Macià and Turó Park. The area offers a wide range of services, shops and restaurants. Among others, it is worth mentioning the shopping centre L'illa, El Corte Inglés, several prestigious schools and a car park close to the property. It also has good road access to and from the city.